Personal Injury Lawyer Paul Hergott is the owner of a boutique personal injury law firm located in the Central Interior, serving clients from all over the Province of British Columbia. Paul’s practice is restricted to acting only for the injured victim, never for ICBC nor for other insurance companies. Paul grew up on a farm near Melville, Saskatchewan, a child of parents who had each served as Catholic clergy missionaries in third world countries before leaving the Church to raise a family. A strong work ethic and humility were instilled, and Paul achieved his grade 10 certification in piano with the Royal Conservatory of Music. 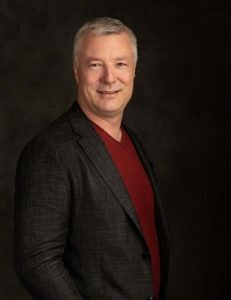 Paul joined the Canadian military reserves after grade 11, and continued training while achieving a business degree at the University of Regina and his law degree with the University of Victoria. Paul has practiced law in the Okanagan since 1996, when he was brought on board with Bassett & Company in West Kelowna. After over 11 years of a rewarding affiliation with the fine lawyers of the now disbanded Bassett & Company, Paul founded Hergott Law in 2007. Paul had joined Bassett & Company as a junior litigation lawyer and was soon heading up their full service litigation department. Of all the areas of law, Paul was most drawn to, and passionate about, pursuing fair compensation for injured victims. Referrals by satisfied clients, other lawyers and members of the medical community resulted in growth of the personal injury component of Paul’s litigation practice. For several years, Paul’s practice has been restricted to plaintiff only personal injury work, and Hergott Law has developed one of the largest personal injury practices in the Central Interior. While Hergott Law has a province-wide scope of personal injury practice, Paul Hergott and the firm have been recognized by the local Chamber of Commerce for “customer service”, “quality excellence”, and “business person of the year”. Years of being exposed to the aftermaths of motor vehicle crashes have led Paul to become a strong advocate for making our streets safer with topic specific newspaper columns as well as founding and funding his “One Crash is Too Many” awareness/driver safety campaign. When not at the office Paul enjoys the beautiful Okanagan with his wife and children. Paul would be happiest outdoors hiking, biking, skiing or trying to make his annual snow hut even larger than the previous years. Paul Hergott was named as the Kelowna Chamber of Commerce’s 2017 Top 40 Over 40!